The upcoming Broadway revival of “Hello, Dolly!,” featuring Bette Midler in the title role, is shaping up to be a major commercial player this season, with the production reporting more than $9 million in first-day sales. Tickets went on sale Sept. 17 for the show, which has a cast that also includes David Hyde Pierce, Gavin Creel and Kate Baldwin. Total sales for the day rang in at $9,082,497, a first-day record at the Broadway box office. The incoming production begins previews March 15 at the Shubert Theater, a prime venue owned by the Shubert Organization. From the moment it was announced, “Dolly!” seemed like a potential box office juggernaut. 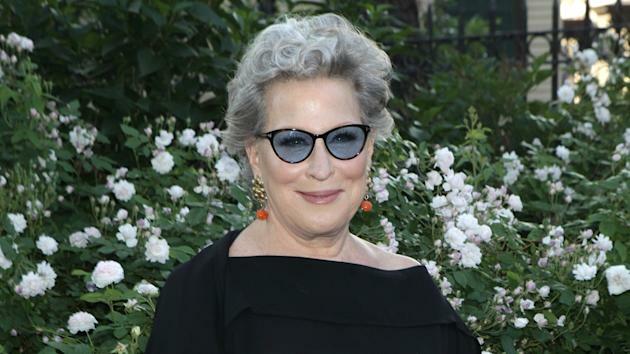 Midler’s last stint on Broadway, in the 2013 play “I’ll Eat You Last,” turned into a big-money attraction, and in “Dolly,” the actress is paired with a well-known title in a musical-comedy role that seems a perfect fit for her. “Hello, Dolly!” lands on Broadway backed by producer Scott Rudin, who’s been a busy stage producer (“The Book of Mormon,” “Betrayal,” “Shuffle Along”) over the last several seasons. “Hello, Dolly!” is part of a Rudin slate for 2016-17 that also includes “The Front Page,” in a starry revival led by Nathan Lane and John Slattery, and “The Glass Menagerie” with Sally Field. His production of last season’s Tony winner, “The Humans,” just announced its recoupment. “Hello, Dolly!” opens at the Shubert April 20. News of the advance ticket sales was first reported by Deadline.